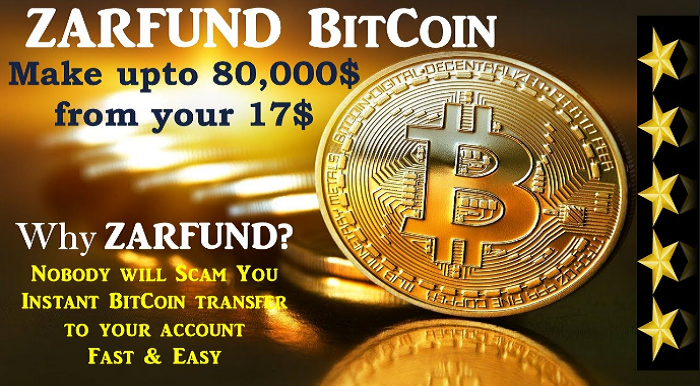 Zarfund is SCAM! That’s what I hear from some individuals. They are very sure about it and they’ve made up their minds not to even give it a try. They believe they are correct! Some are on the fence. They keep asking ‘Is Zarfund SCAM?’ Now, the more they hang around, asking questions, time is going. But here is a simple question: Will you risk €500 and stand the chance of being the next millionaire or spend your money now (on Hamburger, roasted fish, beer, dresses, women, etc) and stand the chance of regretting (seriously) afterward? Zarfund is SCAM! That’s what some say. Whatever you think and say (or write) may not really have an influence on some positive minds. Risk bearers and investors are optimistic. I think there are very few people on earth who break through and these are people who see the positive side of things. The truth is, they are the winners. Have you been told Zarfund is Scam? You probably were motivated and you were at the point of taking a positive step. You had everything set to invest but someone fired some waves of discouragement into your spine. You have changed your mind! You just went back to join the camp of the 90% who are failing. That’s just it. Many of those who say Zarfund is scam (or this or that opportunity is scam) end up investing and by the time they take their decisions to a positive change, they won’t come back to you. They are moving on and you are stagnant. But why do I have to tell you this? I’m a risk bearer and positive thinker. In my camp, you find the winners. This might have just been my opportunity to turn things around. I have no 100% proof that Zarfund is not SCAM and I’m not here trying to convince you that it isn’t. I want to conquer your fears because I know that’s the driving force behind being broke. You ask too many questions such that you end up finding reasons and justifications why you should not dare. I have done some minimum research and the results are big enough to melt my fears away. The Zarfund community is growing so rapidly worldwide and I’m not one of those to sit back and not take action. So what exactly is Zarfund? Zarfund is a team-work based, person – to – person funding platform. The company started mid-August but is gaining substantially unmatched grounds the Investment world has ever seen. Zarfund is all about teamwork. And the start-up capital is $18 which is payable in bitcoin. All new investors voluntarily pay their upline (the person who referred them) $18, then the investor will invite two persons who will pay him $18 each making x2 of his investment in one day (at that point you move to level 2). Then your two referrals will have to refer two people each and the matrix keeps forming. Zarfund is a 2×6 forced matrix that is impossible to do alone, hence TEAMWORK is encouraged. That’s what set Zarfund apart from all other investment. With teamwork, you can use $18 to earn $78,044 which is the highest level. Now in Zarfund you only need two referrals (It’s called the power of two). Two referrals are the Maximum, you can’t have more than it. As at today 1bitcoin (BTC) is $625 and bitcoin is the leading cryptocurrency in the world. You can withdraw all your money anytime, any day, anywhere. You don’t have to wait for 30 days neither are you given any condition for withdrawing your money. Zarfund is as free as Shoprite, you can walk in and out as you wish. Nobody at all has access to your money, not even Zarfund. NB: No one person can have more than two referrals, that’s the maximum. Grab this Deal , before someone else takes it…..Join through my referral link and get this Deal…Don’t miss this Opportunity …Hurry up..